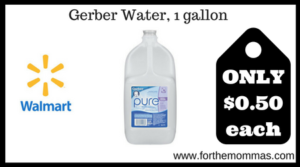 The post Walmart: Gerber Pure Water Only $0.50 appeared first on FTM. Roller Derby Roller Skates ONLY $7! At Walmart! CHECK THIS OUT! Organic Canned Soup ONLY 25¢ Each At Walmart! GO NOW! 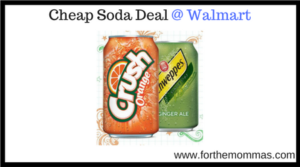 The post Walmart: Buy $10 of Soda, Get $5 Gift Card appeared first on FTM. Arctic Zone Kids Lunch Boxes ONLY $1 At Walmart! AWESOME! Running low on dish detergent? Stock up a Walmart this week when you use the new $2 off Finish dish detergent coupon that came up yesterday. 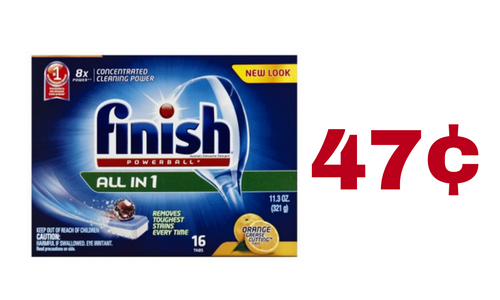 Buy Finish Max in 1 Powerball Tabs and get them for only 47¢ after your coupon! Don’t miss other great deals at Walmart this week; check out the weekly ad.